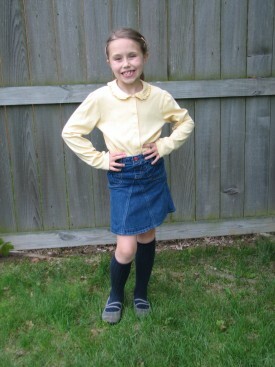 Turning an old pair of pants or jeans into a skirt is an easy sewing project. With a sewing machine and very basic skills, you can complete this project. A few months ago, our oldest daughter decided that she was only going to wear skirts and dresses. No more pants for her. 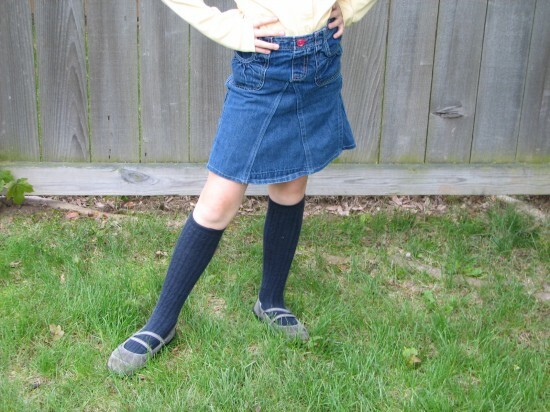 I don’t always let our kids follow every whim of form or fashion but she was already wearing mostly skirts or jumpers and was rather convicted. I think we can blame her favorite television show about a certain large family in Arkansas where the women and girls only wear skirts. 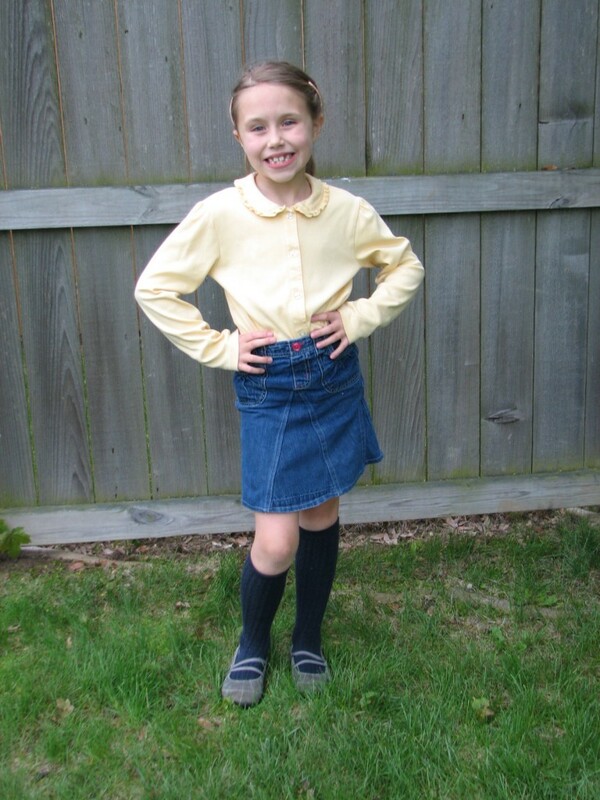 So, I converted the one pair of jeans she owned into a skirt so she could wear it on “free dress day” at school. 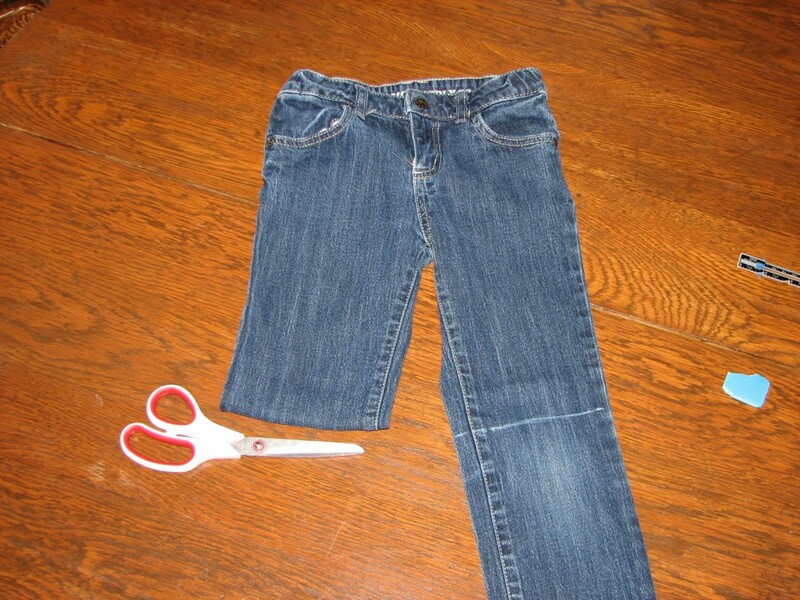 This project would also work with pants that are too short or have holes in the knees. Pair of jeans or pants that fit around the waist. 1. Decide the length of your skirt. 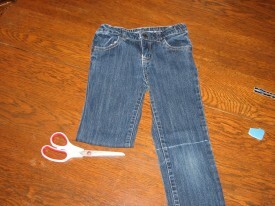 This will determine if can use the the cut off pants legs or if you will need additional fabric to make the panels. I saw a woman a few weeks ago wearing an almost ankle length pants to skirt conversion with a lovely velvet used in the panels. The skirt I made was a size 7 child’s. It is knee length and I had enough fabric left from the legs to make the panels. 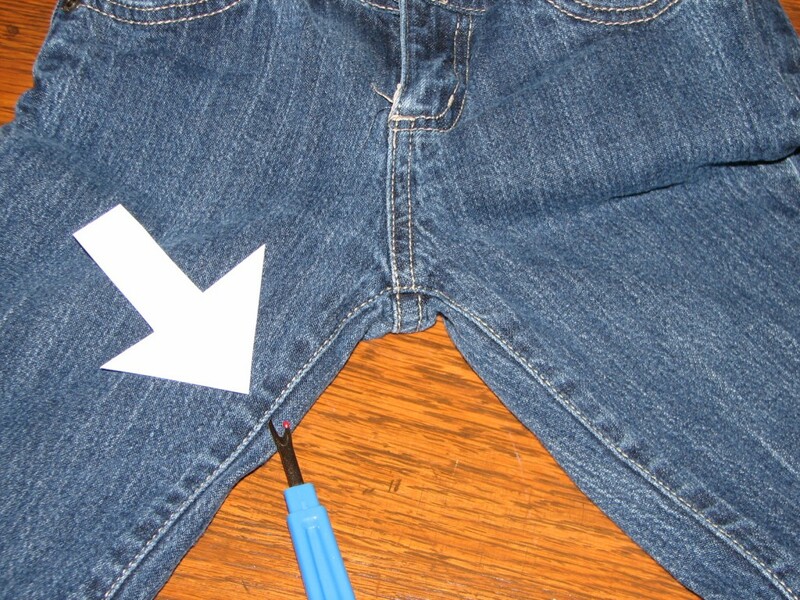 Once you have determined your length, mark it with tailors chalk and then cut the pants off about an inch below your mark to allow for a hem. Unless you want the frayed look, then you wouldn’t even need to hem the bottom. 2. Using the seam ripper, rip open the inseams. You can also rip open the side seams part way up, I stopped just below the pocket. This adds a little extra flare to the skirt after you add side panels. It also adds a little extra work, so it is really up to you. 3. Fold under fabric twice to enclose raw edge, iron flat and sew. Do this for all of your openings. Don’t do the bottom yet! Look at picture to understand that you will have double lines of stitching. 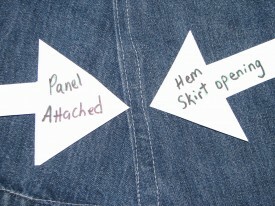 One that is a hem and one that attaches the panels to the skirt. 4. Collect your panels. Now you can see the size your panels will need to be. Fit them into the opening and pin into place. You can finish the edges of your panels first either by surging or zig zagging the edges. Now attach you panels. I sewed on the front side so I could keep the stitches in line with the first row of stitches from the hem line. Attach all of the panels. 5. 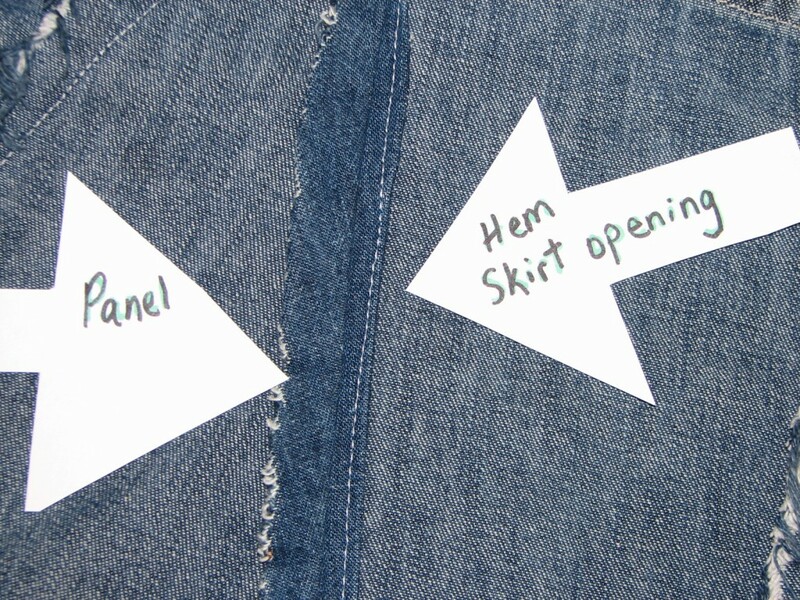 Hem the bottom in the same way you hemmed the panel openings. That is it! 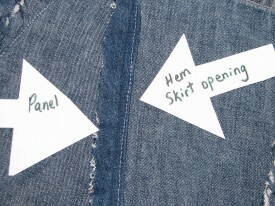 If I can figure out how to upcycle a pair of jeans into a skirt, you can too!